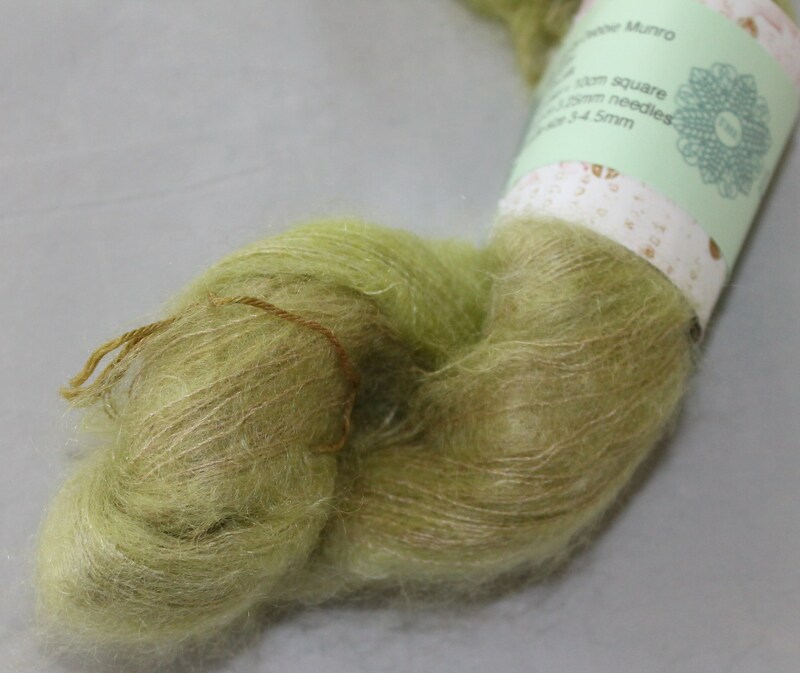 The colour for this yarn was born on a trip to Loch Awe on the west coast of Scotland. I was walking back from the loch side and the sun hit the new bracken covering the hillside. It made the green and the gold colouring sing. 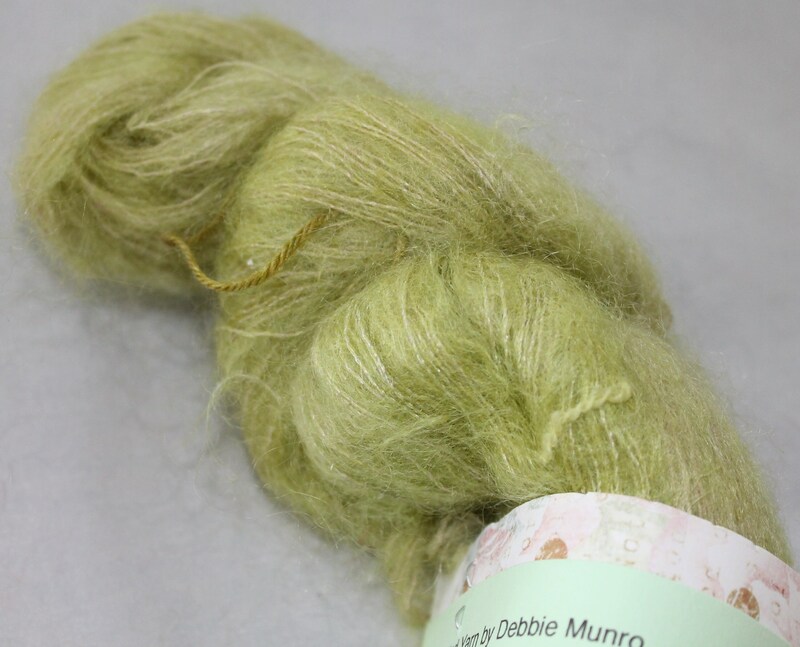 I dyed this yarn to the soft but acid bright greens and golds of the lochside. 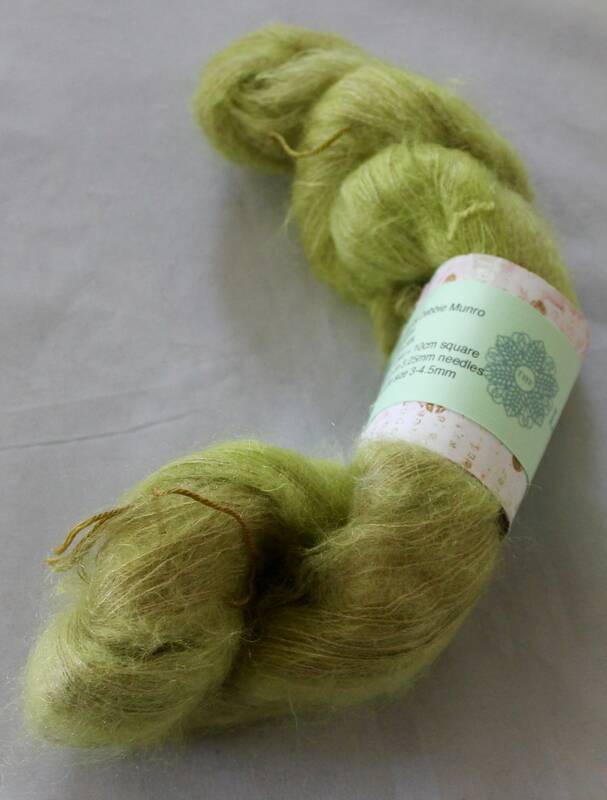 Each skein is 70% kid mohair and 30% silk and 420m in length. I can usually knit both a scarf and a pair of mitts from a single skein. Two skeins is enough to knit a full-size wrap.